Click on “Purchase” on the top menu . Choose “Purchase SMS” in the drop down menu. Place a new purchase request to get sms credits for your account. Enter the quantity of credit you'd like to purchase. Wait for the page to refresh and calculate the rate for the desired quantity. Click 'Next' to place your purchase request. You will get payment instructions on the next screen. Credits will be added after payment is completed. Enter the quantity of credit you'd like to purchase. Wait for the page to refresh and calculate the rate for the desired quantity. Cheque - Make cheque in the name of 'Bongo Live Enterprise Ltd' and deliver to our office address above. Click 'Submit' to place your purchase request. You will get payment instructions on the next screen. Credits will be added after payment is completed. 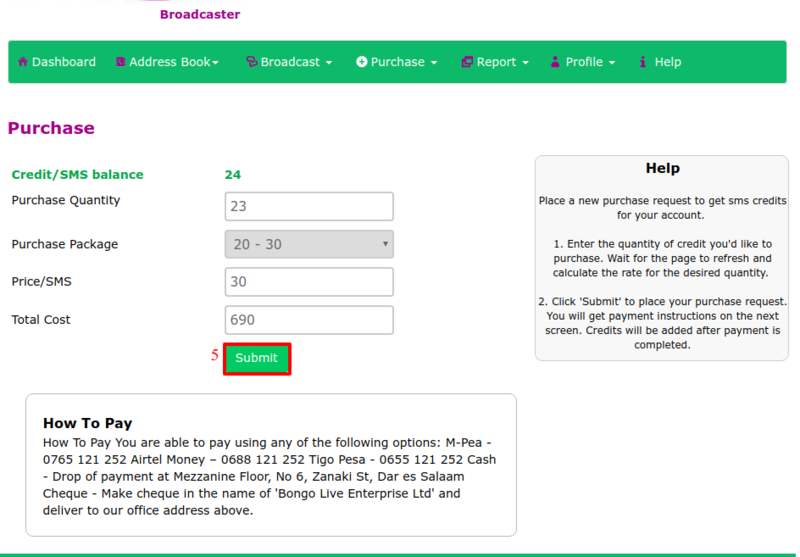 Click on the link https://www.bongolive.co.tz/templates/assets/docs/BongoLive_Tutorial_Purchase_SMS.pdf to see how to request SMS purchase. 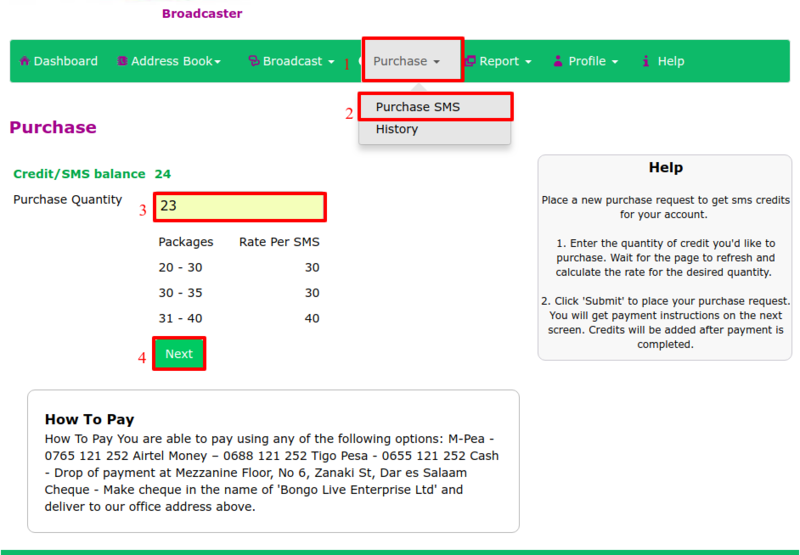 After submitting your purchase request, an email will be sent to bongolive and you will receive notification that “Purchase request sent” as shown above.